← Premature death can be reduced by 40% in 20 years! 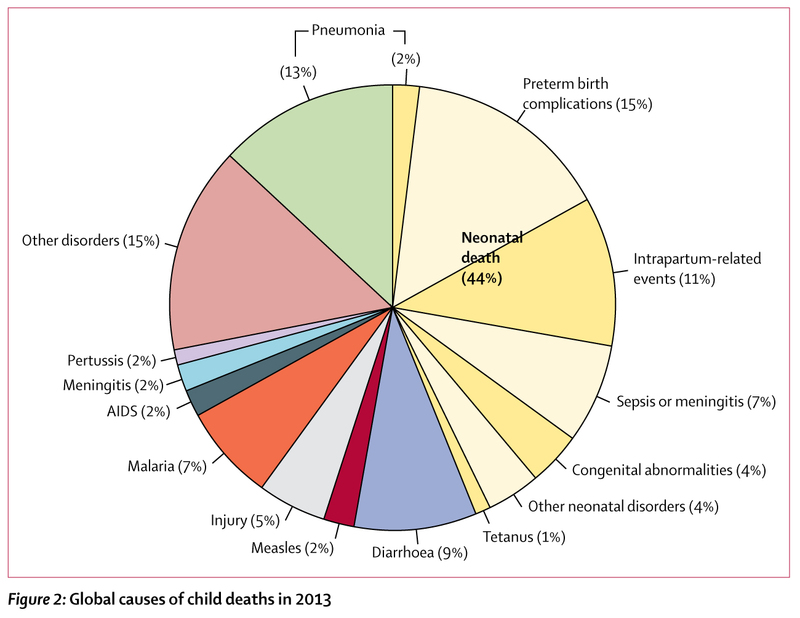 Trend data for causes of child death are crucial to inform priorities for improving child survival by and beyond 2015. 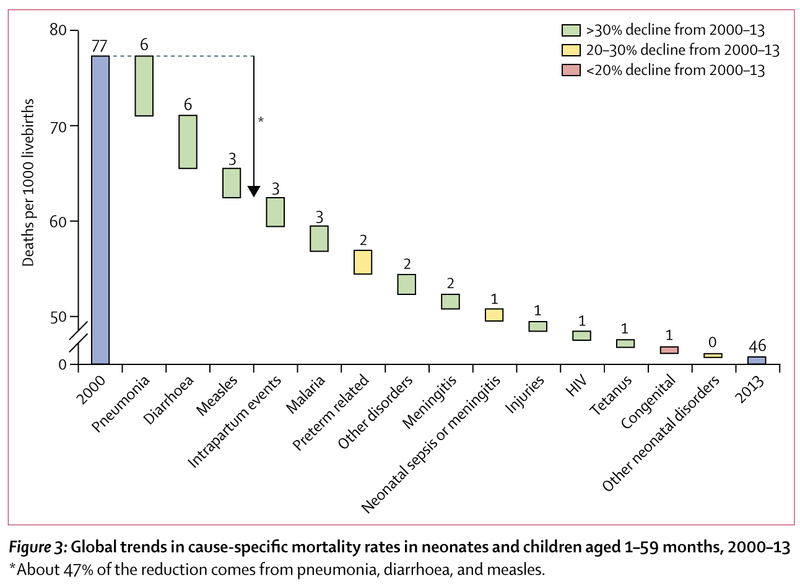 With academic collaborators at Johns Hopkins University, London School of Hygiene and Tropical medicine and Edinburgh University, we have just published a paper in the Lancet this week on causes and trends in child mortality from 2000 to 2013, with cause-specific mortality projections and scenarios to 2030 and 2035. Of the 6•3 million children who died before age 5 years in 2013, 52% (3•3 million) died of infectious causes and 44% (2•8 million) died in the neonatal period. The three leading causes are preterm birth complications (0•97 million), pneumonia (0•94 million), and intrapartum-related complications (0•67 million). Reductions in pneumonia, diarrhoea, and measles collectively were responsible for half of the 3•6 million fewer deaths recorded in 2013 versus 2000. If present trends continue, 4•4 million children younger than 5 will still die in 2030. Furthermore, sub-Saharan Africa will have 33% of the births and 60% of the deaths in 2030, compared with 25% and 50% in 2013, respectively. For the post-2015 sustainable development goals, WHO and other UN agencies are proposing a goal to “end preventable child deaths” with a 2030 target of 25 or fewer under-5 deaths per 1,000 livebirths. Achievement of this target will require acceleration of current efforts to prevent child deaths, with scale-up of existing interventions, introduction of new vaccines for pneumonia, diarrheal diseases, and possibly even malaria, and increased attention to reducing prematurity, preterm birth complications, and other neonatal causes of death. This entry was posted in Global health trends, Projections, World Health Organization and tagged children, global health statistics, preventable deaths, sustainable development goals. Bookmark the permalink.